With ‘Pizza in Style’ at the backdrop of everything we do, we are committed to delighting our customers with what we believe are truly authentic, top quality pizzas and serving them with fantastic levels of service. We now employ over 10,000 people in over 400 restaurants across the UK and under our Milano branding in Ireland. You will work alongside our current Pizzaiolo’s to prepare pizza and other meals for customers in our busy restaurant. In our business we call our Chefs “Pizzaiolos” – this name reflects the passion and expertise required to produce the market leading, top quality pizzas we serve. We are looking for highly talented Pizzaiolos to run the kitchens in our special restaurants. Far from being hidden away behind the scenes you’ll be an integral part of the team and a real focus for our customers. The majority of our kitchens are open plan so your flair and expertise with our dough will entertain children and delight adults alike. We therefore look for people who have a real passion for providing a fun atmosphere whilst creating our delicious food. Making truly authentic pizzas from scratch, to order, is a point of difference to most of our competitors so we look to our Pizzaiolos to take pride in every single dish that leaves the pass. •	The preparation, cooking and presentation of food with the aim to delivering an excellent customer experience. •	You will also be required to undertake all reasonable duties as assigned by the head chef. •	You must have a passion for cooking and possess a desire to learn and develop new culinary skills. •	You will have a good working attitude and enjoy the buzz of working in a busy kitchen environment. Ideally you’ll have previous experience of working in a busy kitchen and running busy services. You’ll also understand that we operate a business that opens across the whole week and you will have the flexibility to work shifts that reflect this. You’ll be familiar with the health and safety standards required in a top class brand and you’ll be comfortable overseeing the stock ordering system to ensure your kitchen is set up for success. Finally you’ll understand just how vital the relationship is between the back of house and front of house teams, you’ll therefore be a role model and ensure working practices are seamless to ensure our customers receive a world class experience. In return for your efforts, we will tailor your development plan and will go out of our way to provide a work environment, salary and benefits package that motivates and encourages everyone. 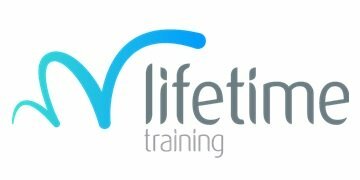 Our aim is to create a happy, healthy and sensible life/work balance for all and our benefits include, pension, company maternity/ paternity leave, 20 days holiday plus bank holidays, a share of customer tips, discount scheme at our restaurants and PizzaExpress/Milano celebration events. As part of this apprenticeship you will not only gain an Level 2 in kitchen services you will also learn your way around a kitchen, food hygiene and safety and how to prepare the finest ingredients that go in to every one of our pizzas.